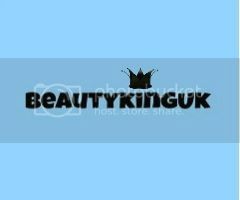 Beautykinguk: Dirty Burger - The Best Burger in London! For someone so obsessed with trying to reverse the ravages of time I really shouldn’t eat fast food, but I just can’t help myself when it comes to Dirty Burger. 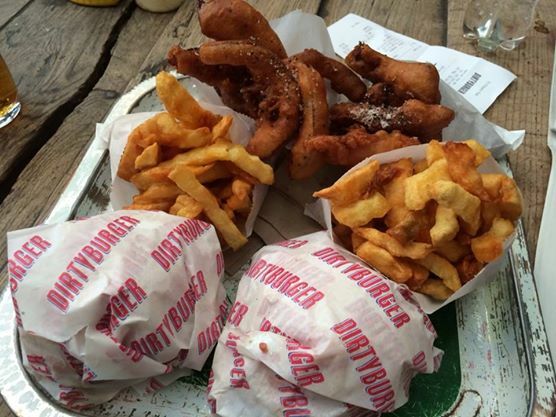 I first spotted a review for Dirty Burger in Time Out when looking for the best burger joints in London. All of the reviews had me literally drooling and as they had a branch in Kentish Town, Camden I just couldn’t contain my excitement. I even started to stalk pictures of the burgers online and on Twitter. It became something of OCD moment for me and it wasn’t long until I ventured off to find it – map in hand. Make sure you play with Google streetmap before you leave home – this place is a hidden gem and you are more likely to walk on by a few times before you find it. I know I did. Dirty Burger doesn’t need to be all flash and gimmicky - it also doesn’t need a menu the length of your arm. They sell burgers, correction. They craft the best burgers in town. With a simple pricing system and few options ordering doesn’t take long – you can have a cheeseburger, burger or what is known as a Dirty Cop Out (that’s the vegetarian option). In addition, there are fries and onion fries (think stringy onion rings). Once the order has been collected you can then tuck in. The patties are served on a brioche bun, smothered in a lovely tangy mayo with a tomato and gherkin. The burgers are juicy and the flavour to die for – you can really taste the deep rich flavour of the meat come out with each bite. The patties use several cuts of beef including rib eye and Bavette. The juiciness comes from the way in which it’s cooked. Rather than just slapping the meat onto a grill the chefs drizzle stock over the cooking patties and then cover them so that they steam in their own juices. Each time I visit I’m never disappointed – the fries are hot and crunchy. They have texture and flavour. The onion fries are awesome and so much nicer than conventional onion rings, but best of all the quality and consistency of the burger is king. With a range of alcoholic and non-alcoholic drinks on offer you can’t go wrong if you fancy a snack or have a hunger hole the size of Texas. Dirty Burger has everything you need. As an aside, the shack in which Dirty Burger is located is always clean and tidy. It’s not the largest place on earth and it can become slightly crowded at times. 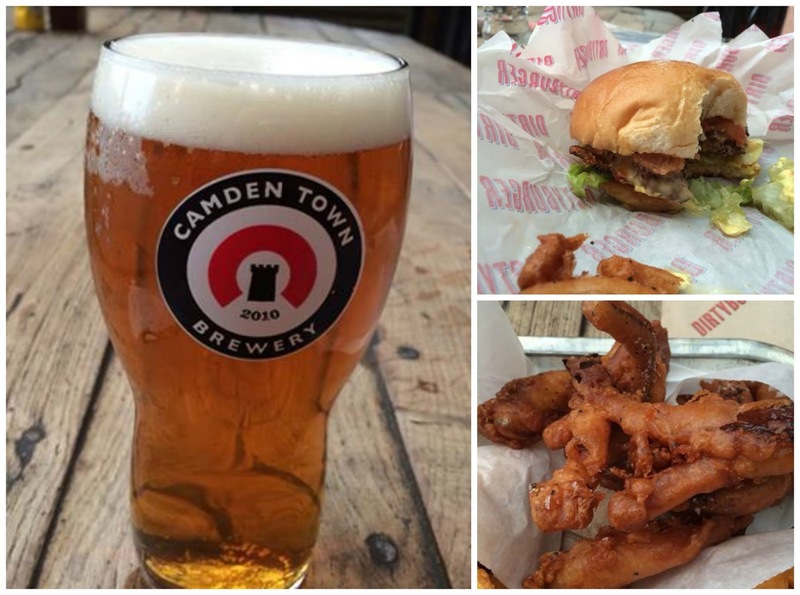 Don’t let this put you off – pop in for a bite to eat and you’ll be hooked for life. At £5.50 for a taste sensation of a burger you can do a lot worse. I am a hugggge burger lover! Looks amazing! 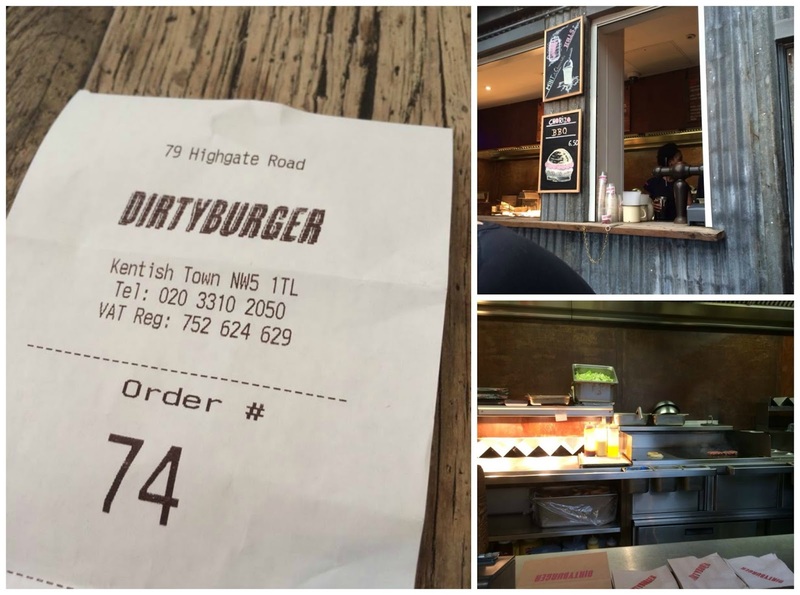 I've never heard of Dirty Burger before.. I think I need to check it out! Oh you have to try it - they have another in Vauxhall if that's closer. Well worth travelling for tho' - taste sensation! Dirty cop out all the way. You know you love vegetarians reallt. Nah sounds like caveman unreconstructed man to me. Big mac fries to go, give me big mac fries to go. I was attracted by the title alone, normal people would be turned off but me am thinking big american burger, would love to try this.